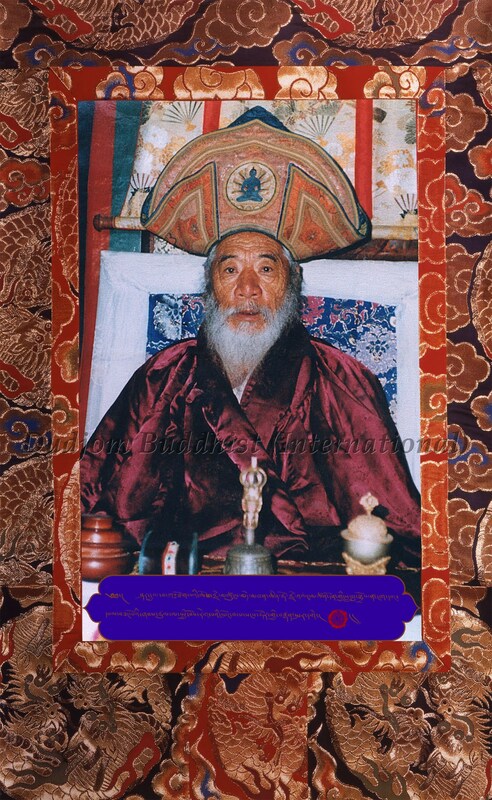 The Dudjom Buddhist Association (International) regrettably announced the sad news of His Holiness Kyabje Chadral Sangye Dorje Rinpoche’s Entering into Maha-Parinirvana on 30th December, 2015, at the age of 105 years old, due to the lack of merits and unwholesome karmas of all sentient beings in general. 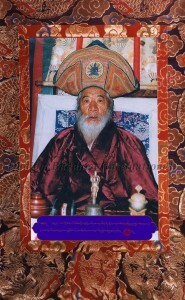 Since His Holiness Kyabje Chadral Sangye Dorje Rinpoche was the Spiritual Leader and Mentor of the Dudjom Buddhist Association (International), as well as the Most Beloved Crowning Jewel and Wish-Fulfilling Gem of both our Vajra Masters Yeshe Thaye & Pema Lhadren, our two Vajra Masters have thus led all the disciples and Sangha members of the Dudjom Buddhist Association (International) in offering our utmost sincere prayers and pujas for 49 days, praying for His Holiness Kyabje Chadral Sangye Dorje Rinpoche’s Continuous Bestowal of Nectar Rain of Blessings to this universe, by upholding the Victory Banner and turning the Wheel of the Holy Dharma for the benefits of all our motherly sentient beings, as limitless as the sky! Dates : 10th、17th、24th and 31st of Jan. and 7th、14th and 21st of Feb. 2016 respectively (Sundays). 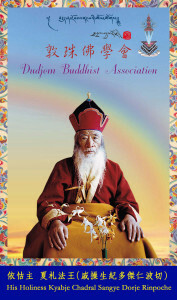 Place : Dudjom Buddhist Association (International) at 4/F, Federal Centre, 77 Sheung On Street, Chai Wan, Hong Kong. This is an extremely sad announcement from the Dudjom Buddhist Association (International) to all Dharma friends, and Dharma brothers and sisters all over the world.